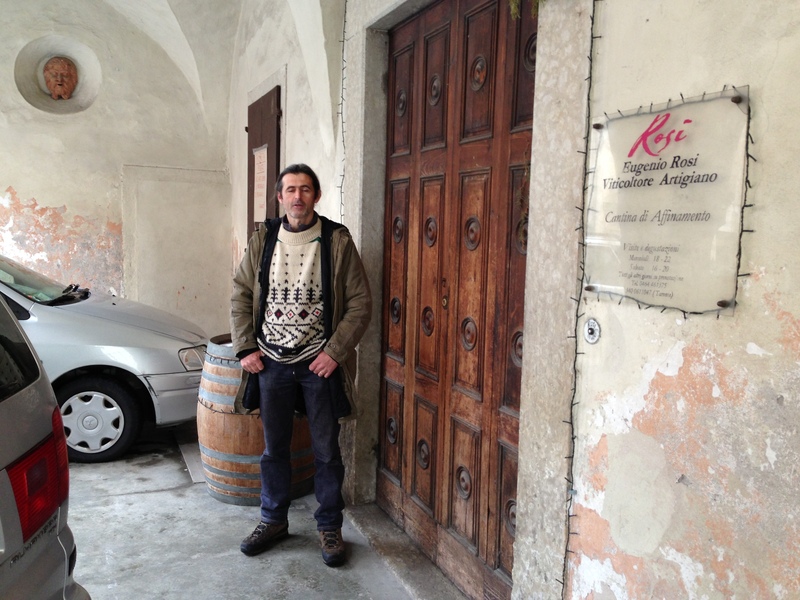 a top wine-making school in Italy, Eugenio began work at established wine cooperatives in Trentino.After working for years in several cooperatives as chief wine maker, Eugenio had had enough, left, and started producing his own wines. Eugenio has a typical wine producing background. 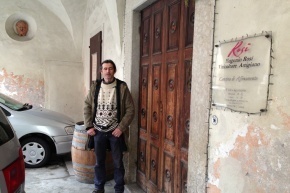 A graduate of the oenological school at San Michele All’Adige, which is considered a top wine-making school in Italy, Eugenio began work at established wine cooperatives in Trentino. Versa il vino! Eccellente Marzemino! 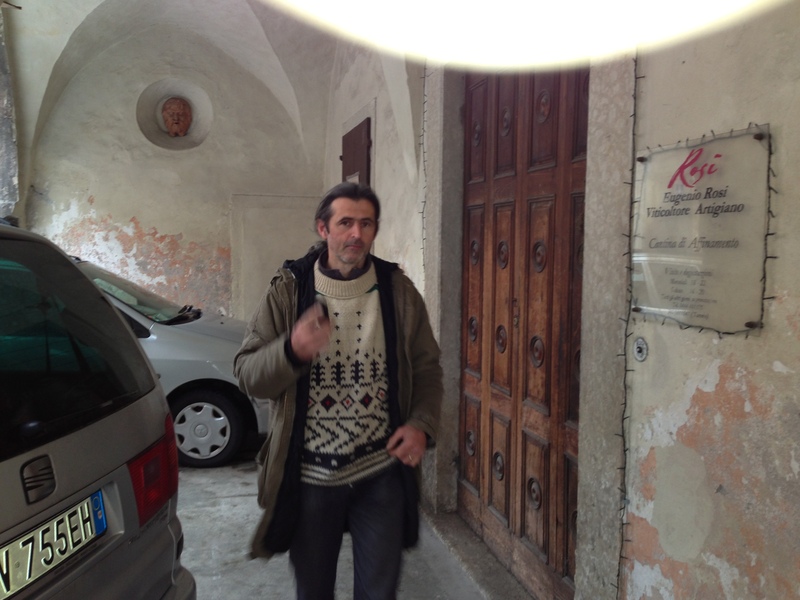 Eugenio is one of the masters of the autochthonous red grape variety Marzemino. Immortalized by Mozart’s Don Giovanni, “Versa il vino! Eccellente Marzemino!”, the variety grows in southern Trentino with the production centered around Rovereto. The hamlets Volano and Isero are considered grand cru positions. 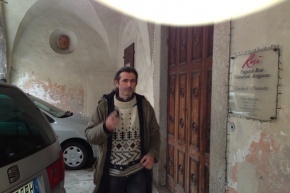 Eugenio has his Marzemino vineyards in Volano. This is an old clay river bed from when the Adige river meandered south like a great snake. From the 18th century to the early 20th century the river was straightened out and tamed in order to protect the countryside from flooding. Volano is located on the valley floor up against the mountainside. This area was widely used to plant vineyards, and as a source of clay for " ring bricks. On their property Eugenio and his father have a brick furnace production which is no longer in use but very picturesque. Marzemino is a late ripening variety and because of its thin skin it is prone to diseases. For this reason most Marzeminos carry grassy, herbaceous notes due to early picking. Already this sets Eugenio apart from most producers. He leaves his bunches to mature for as long as possible. With part of his production he proceeds to dry the grapes, as with Amarone. After a drying period of 15–25 days, these grapes are reconnected with the fermenting wine in order to increase sugar levels and ripeness. Eugenio and his wife Tamara rent the cellar, ground level and 1st floor of one of the old town palaces in Calliano, Palazzo Demartin, so that their wine can mature in the right environment. Calliano is an extension of Rovereto. History is richly intertwined in the fabric of this palace: walking into the back garden the panorama is "filled with a medieval sight on the hill above Calliano. This is the Castel Beseno which dominated the valley. The captain of the castle guard used to live in this 14th century palace and the running water well in the garden was installed as a privilege to the soldiers. The estate produces 18,000 bottles per year. There is a white wine, three red wines, and a sweet red wine.